We have the industry secrets and will rank your site at the top of the search engines! If you are looking for an SEO company that focus on 1. Results and 2. Convertions then order your free audit on your site worth $250 – for FREE. Limited time only. How do we rank your website at the top of Google in 2015? In the past, you were able to rank a website at the top of Google by publishing hundreds of low quality articles around the web and getting thousands of links from low quality sites. What most online marketers don’t realise that this will actually hurt your ranking now! Today, to rank at the top of Google for a competitive keyword phrase, you need to publish high quality content. Its all about quality and not quantity. Since Google’s Panda and Penguin updates, there’s been a lot of talk about the ‘death of SEO’. But this couldn’t be further from the truth. When you see statements like ‘SEO is dead’, what they’re actually referring to is that traditional ‘low quality’ SEO is dead. Now, to rank at the top of Google you need to focus on producing high quality content and then marketing that content effectively online. But the number of people searching on Google each year is growing so it is still sooo important to work on your SEO. People are still using Google to search! Google ranks websites organically, SEO will be super effective way to get sales leads. There are two types of SEO – short-tail SEO and long-tail SEO. This is all about ranking for competitive keyword phrases that have a high number of people searching for them each month (eg ‘coupons’). This type of SEO requires building links from reputable websites by publishing high quality content around the web. It’s all about driving a high volume of SEO traffic by publishing allot of high quality content on your website. The content that you publish will appear on Google for obscure keyword phrases that are only searched for a few times per month (eg ‘best coupons site online’) but you will have hundreds or thousands of these keywords sending traffic to your site. Any effective SEO strategy incorporates both short and long-tail SEO tactics to maximise rankings and traffic. Content marketing is the process of producing high quality content and then using that content to drive SEO rankings and traffic. Content is published on high PR websites to build high quality links back to your site so you can rank for competitive short-tail keywords. Content is also published on your website to drive long-tail SEO traffic. Content published on your website and around the web is then promoted through social media channels such as Facebook and Twitter to increase its exposure. How Can Webflow get these results for you? We’ve been implementing a Content Marketing and Social Media strategy for a long time. We have watched and monitored Google changes and still have solid results for all of our clients. We have a team of specialists that work on converting your traffic into sales. We don’t just focus on ranking your website at the top of Google using backlinks and hoping for the best. We do a details plan and track the performance of your website and then adjust the campaign to suite your needs. Most SEO companies don’t look at converting leads but this is Webflow’s main focus and we continue to grow business sales online. Its no secret, that in 2012 the internet is a prime source of customers looking for your business. Your customers are spending more time on the internet, for both shopping and entertainment. In August 2009 their were 10,812,734,000 (10 Billion+) searches in that one month alone, with a growth rate of 2.9% each month. Your potential customers are among those search results. The demand is there, but is your business taking full advantage of that demand? Internet Marketing can be an exciting, but diverse and every changing field of expertise. Let us focus on increasing your online presence, while you focus on your business. Please see below on anb update on how we will be building links from now on to keep up to date with the recent hummingbird & penguin updates from Google. Will backlinks help with Hummingbird? …YES! Webflow is always developing and improving our link building and is still a big part of ranking. Over the last few months we have been working on some new link types and specs to move our link offering on to the next level. The changes are to make our links appear even more natural and continue to pass. With the news from Google recently on the Hummingbird update, these new specs fit in perfectly. Rather than linking with keywords in the content links we will start to link using phrases and sentences. 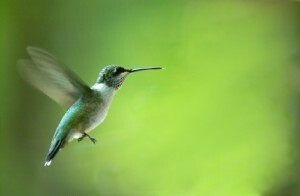 This links in nicely to the Hummingbird update which is supposed to be better at understanding the longer search phrases used by searchers. By linking in this way we are not only removing a massive footprint of over optimised and unnatural anchor text in the link profiles, we are also driving more query related relevancy to the site. We have a special for the realise of Huming Bird. If you are on any SEO plan we will build high qualuty backlinks for only $25 Each! If you are serious about online marketing for your business then contact us today. Leave your details here for your free report and get your first month at half price so you can test us out!